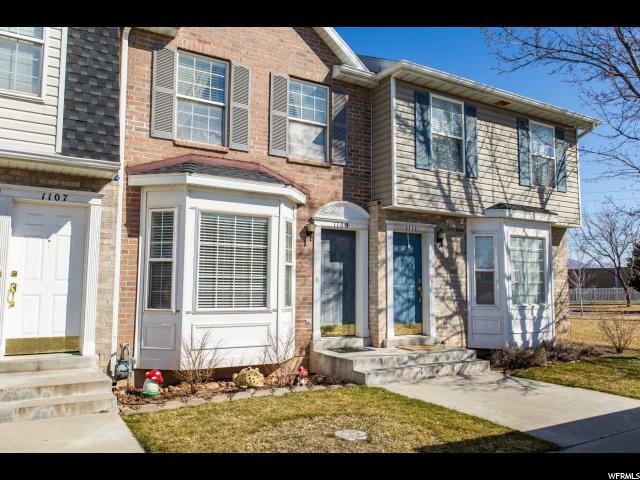 Homes for Sale in Spanish Fork! I'm am a local REALTOR and specialize in your local community in Spanish Fork. I know your local home market, and am an expert in marketing your home, or helping you negotiate a home you're buying. Call me today and let me save you a lot of time, money, and frustration in the process of selling or buying your next home! View current homes for sale in Spanish Fork below, or click on Search above to look in other areas. "Conveniently located, perfectly appointed. Upgraded flooring and new paint throughout! Upgraded kitchen cabinets: crown, raised panel, hardware, great appliances. The backyard is easy to maintain, has a large storage shed, and opens through a gate to a large grassy field. Come visit perfection today! Buyer-broker to verify all info; square footage and acreage per UC recorder." 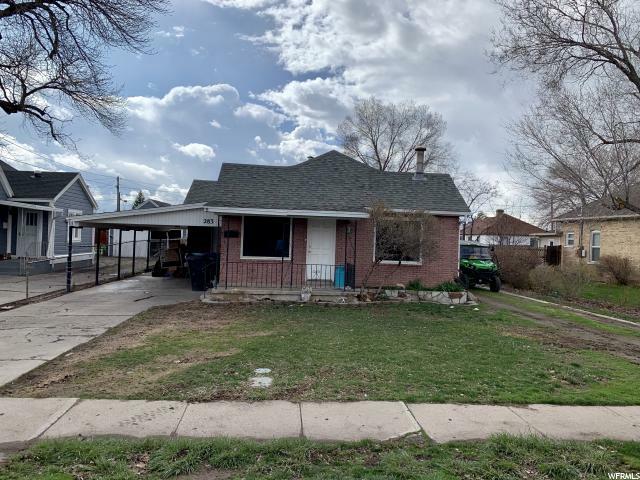 "Charming home that was remodeled in 2017 with New roof, stucco exterior, sheet rock, sub-floors, electrical, plumbing, paint. flooring, cabinetry and appliances. New 22 Seer ductless HVAC. This is a great place to call home. Cute, cute, cute. Square footage figures are provided as a courtesy estimate only and were obtained from Independent measurements . Buyer is advised to obtain an independent measurement." 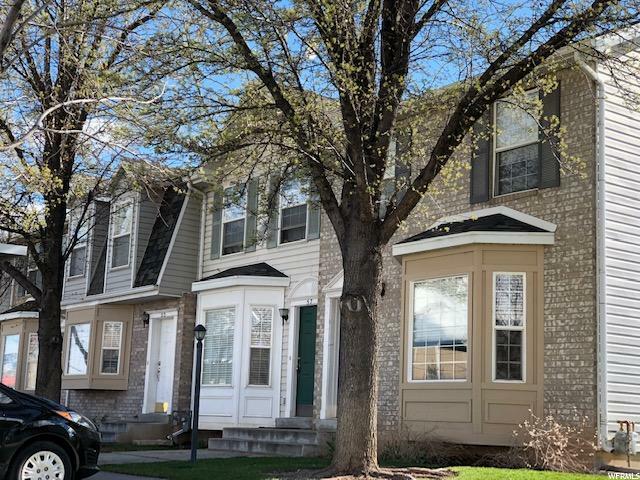 "***Back On The Market*** Welcome home to the most charming townhouse in all of Spanish Fork where you and yours can build memories to last a lifetime. 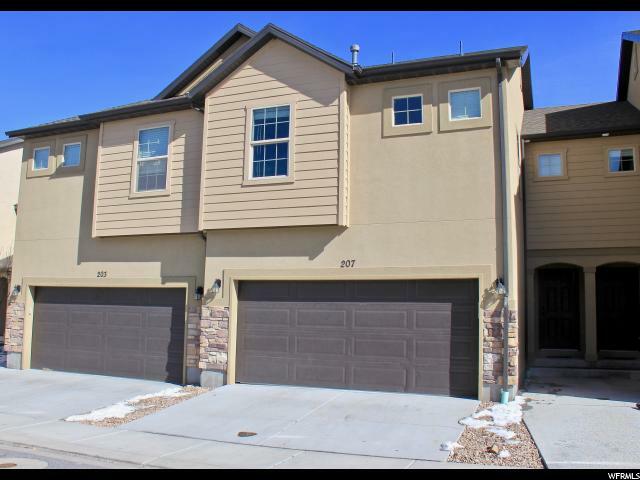 You will come to enjoy the open and well thought out floorplan that is comfortable and convenient for everyday life. Master Suite has His and Her closets, storage space is located around in all the right places, as well as a plethora of useable storage space in the attic. This amazing property comes complete with a Theater Room and Projection Equipment all for your viewing pleasure. If you are into the Great Outdoors then you are in luck as the Spanish Fork Canyon complete with parks and trails are only moments away. 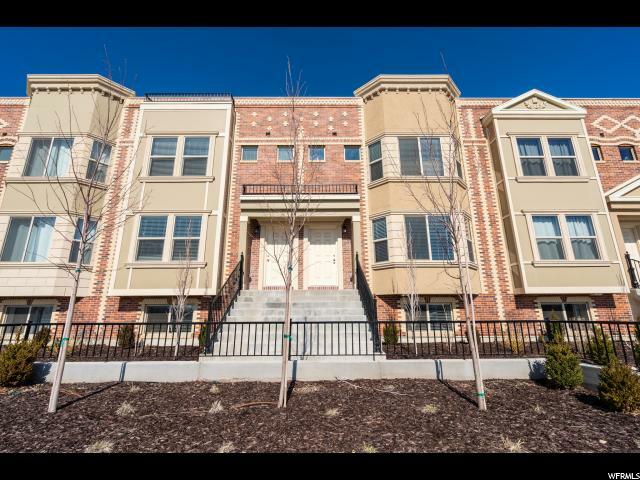 If you are looking for centralized living it is quite possible that there is no place better... Around the Corner from Grocery Store as well as 5 minutes to I-15 interchange, Shopping, Movie Theaters, Entertainment, Medical Facilities and less than 20 Minutes to BYU/UVU. Property also includes 2 parking spaces, 1 covered and 1 uncovered, as well as a playground, volleyball quart and walking trail. If this sounds like your dream come true call for your convenient, private showing today. *All information herein is deemed reliable but is not guaranteed. Buyer is responsible to verify all listing information, including square feet/acreage, to buyer's own satisfaction. 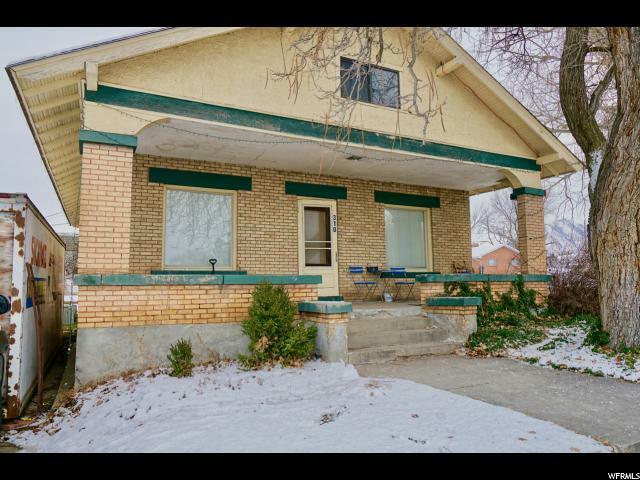 *"
"Incredible bungalow style home in the heart of Spanish Fork. 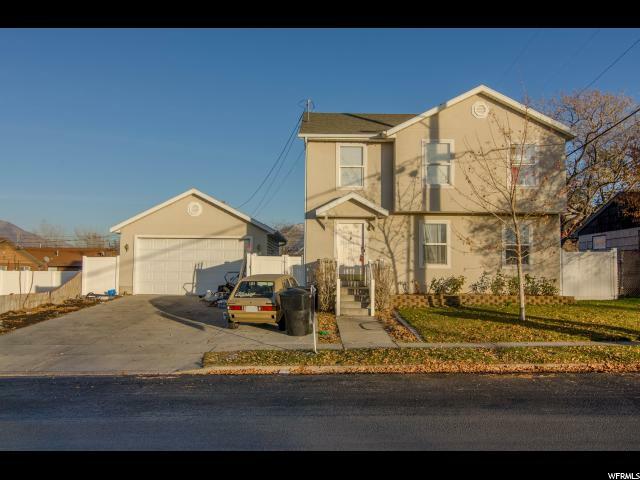 Close to the major freeway and Spanish Fork high school. This home offers a great thought out floor plan and first one floor living! Also one of the only homes in the neighborhood that does NOT share a driveway! Buyer/broker to verify all information. " "BEST VALUE IN SPANISH FORK! Incredible views of the mountains across the picture perfect Spanish Oaks Golf Course. 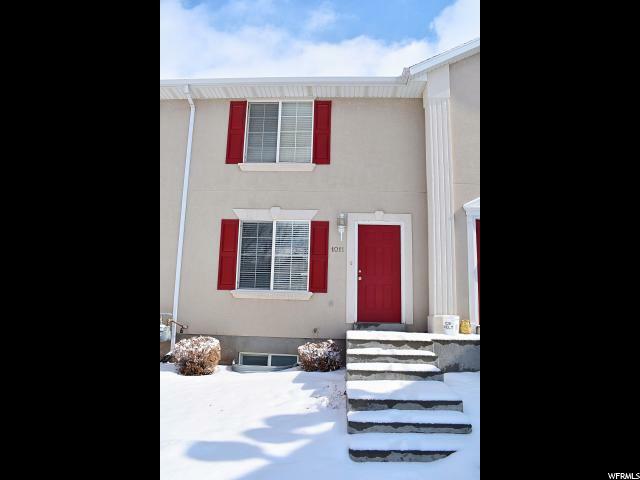 This well maintained 2 bed 3 full bathroom town home boasts a fire place, a jetted tub, a private deck off the master, and is conveniently located next to parks, walking and biking trails. " "This well maintained Craftsman Style home on corner lot boasts approx. 1900 sq feet with original hardwood floors, original wood doors/moulding, and a partial basement. Cute eat-in kitchen with updated touches. Tons of potential! " 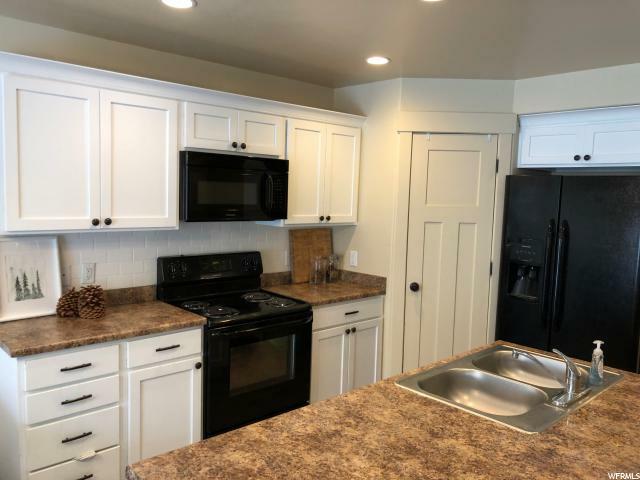 "This is the MIDTOWN floorplan in the new phase at The Ridge at Spanish Fork. This is a great two-bedroom plan. It has an oversized one-car garage, a large family room/kitchen on the second level, and two bedroom suites on the top level. The Ridge at Spanish Fork is a luxurious townhome community located on the east end of Spanish Fork with a maintenance free lifestyle-including an incredible clubhouse with a fitness center and an indoor/outdoor pool. This unit will be finished around May 2019. The Ridge offers several floor plans to choose from, so come and discover a new way to live. The photos are of an identical unit that is complete. " "Upgraded End Unit, features a spacious master suite with oversized walk-in closet. The laundry room is located conveniently upstairs. The kitchen features a brand new dishwasher and upgraded solid surface countertops with seamless sink. There are two large pantries and a two-car attached garage. There is also a wired sound system throughout the home. Square footage figures are provided as a courtesy estimate only and were obtained from the County records. Buyer is advised to obtain an independent measurement." "COME AND GET IT! Great location and quiet country road adjacent to Spanish Oaks Golf Course. RIVER WALKING TRAIL nearby, Canyon View Park nearby. Walmart grocery with in a mile, and fast access to the Spanish Fork Canyon or I-15. Finished Basement! vaulted ceilings. Two car garage." 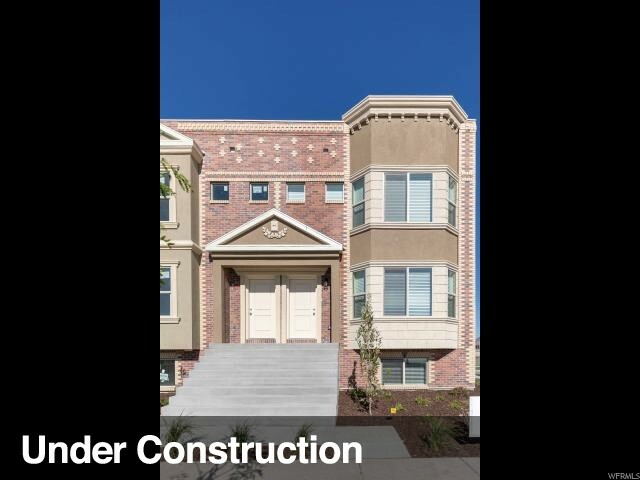 "This is the MIDTOWN floorplan in the new phase at The Ridge at Spanish Fork. This is a great two-bedroom plan. It has an oversized one-car garage, a large family room/kitchen on the second level, and two bedroom suites on the top level. 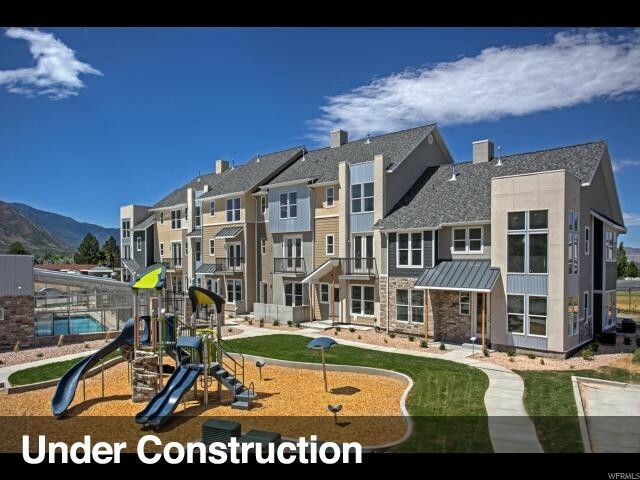 The Ridge at Spanish Fork is a luxurious townhome community located on the east end of Spanish Fork with a maintenance free lifestyle-including an incredible clubhouse with a fitness center and an indoor/outdoor pool. This unit can be finished around the first part of 2019. Act now to choose your colors, cabinets, countertops and flooring. The Ridge offers several floor plans to choose from, so come and discover a new way to live. The photos are of an identical unit that is complete." "Well maintained, very clean 3 bed, 2.5 bath town home in a great location!! Home has granite counter tops and upgraded laminate floors as well as brand new carpet. Conveniently located across from the Spanish Fork Sports Complex. Close to I-15 and shopping. This won't last! Call today for a private showing. Buyer to verify all. " "This is a great starter home or investment. 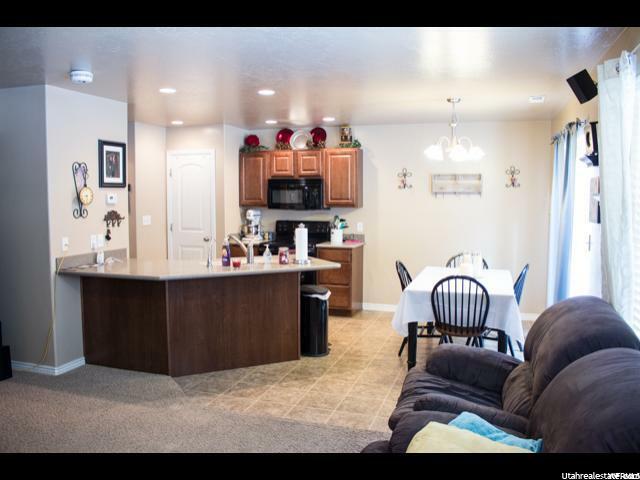 Centrally located in Spanish Fork close to schools, shopping, parks, and I-15 access. Very nice wood burning store. Home is a good condition. 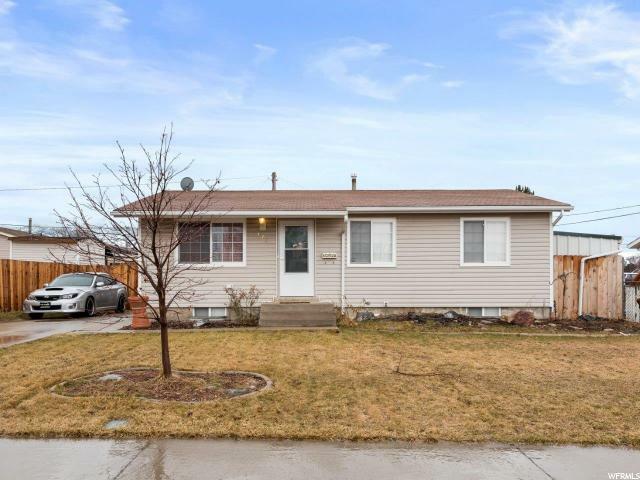 Large detached garage and a very deep back yard. Motivated seller. Call today to see this home before it's sold. Buyer/buyer's agent to verify all information." "Amazing Opportunity! 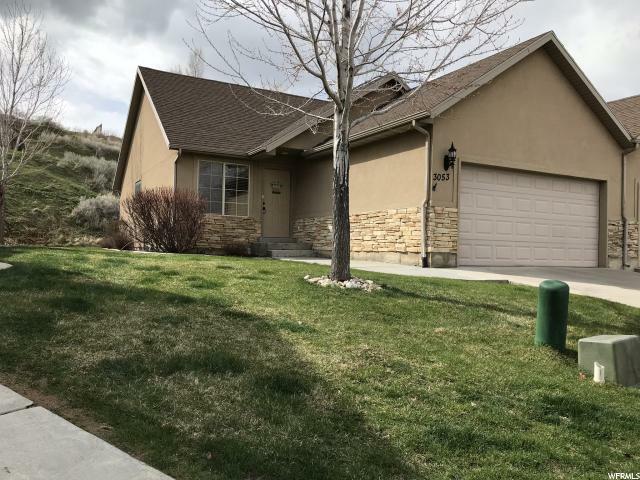 Beautiful and well maintained home located in a friendly neighborhood just blocks away from Main Street in Spanish Fork. Spacious ground level living room and hardwood floors throughout main floor. All bedrooms are on the same floor. Nice detached two car garage. Don't miss out, schedule a showing to see this property." 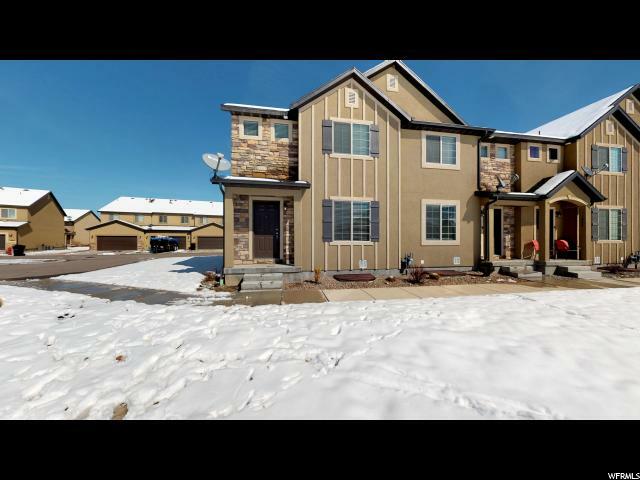 "Looking under $250k in Spanish Fork with room to grow? Look no further! 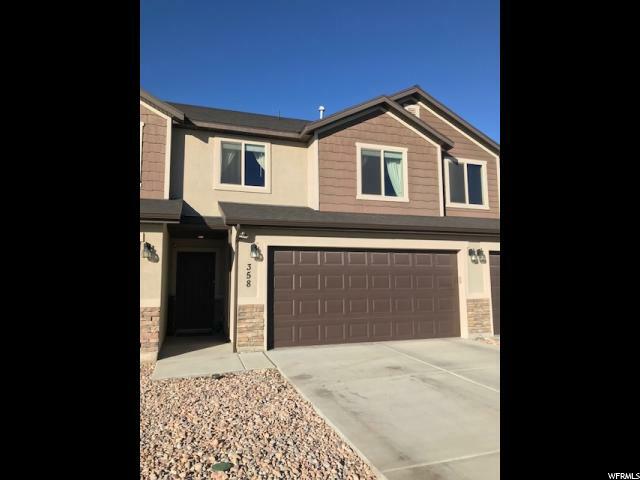 3 bed 2 bath with open concept with vaulted ceilings, master bath and walk in closet and the mostly unfinished basement allows room to grow into and opportunity to add equity. Did I mention its next the golf course in the beautiful quiet river bottom with quick access to highway 6. Square footage figures are provided as a courtesy estimate only and were obtained from county records. Buyer is advised to obtain an independent measurement." 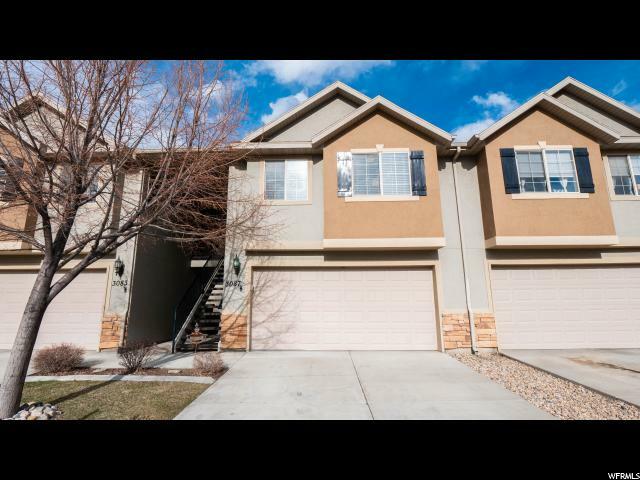 "Must see front load town home with an unfinished basement. Brand new carpet. Beautiful back yard with no other town homes located behind. Large master bedroom with master bath and a huge walk in closet. The expansive backyard can be fenced in if desired. The laundry is located near the bedrooms on the upper floor. Incredible location with easy access to shopping and I-15. Sierra Bonita elementary and Maple Mtn High school are both within walking distance. " 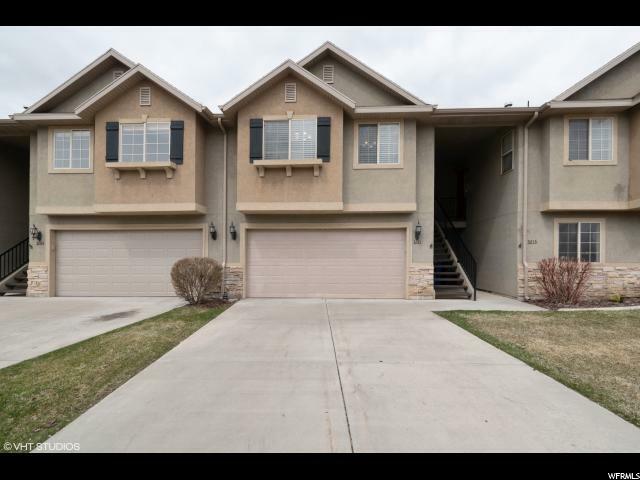 "This town home is located in a highly desirable area. Brand new carpet! Spacious master bedroom featuring a master bathroom and a large walk-in-closet. The expansive backyard area can be fenced in if desired. Beautiful back yard area. Near Sierra Bonita Elementary and Maple Mtn High School. Close proximity to shopping and freeway access. " "Great home in an excellent location. Close to parks, walking trails, shopping centers and many other amenities. Be the first one to come preview it because this one will not last"
"The bedrooms in this townhouse are extra big! The downstairs has a nice open concept. The refrigerator, range, dishwasher, and microwave are all included. The home is close to parks, rodeo grounds, the library, and grocery stores! Easy access to I-15. Square footage figures are provided as a courtesy estimate only. Buyer is advised to obtain an independent measurement." "NEW PRICE! 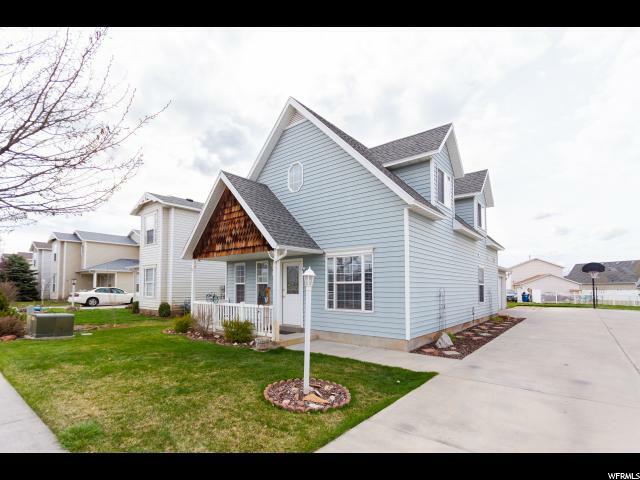 Darling 4 bed 2 bath Home in the Heart of Spanish Fork! Move-in Ready! 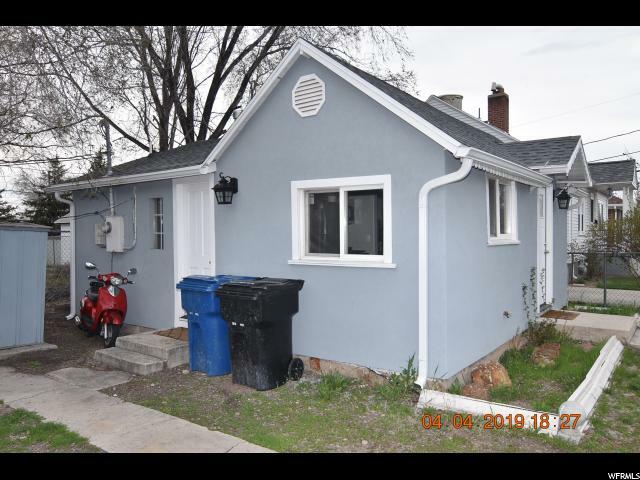 Updated Baths, New Water Heater, Central Air, Fully Fenced. Close to restaurants, shopping and quick freeway access but no traffic noise. Great place to call Home!" 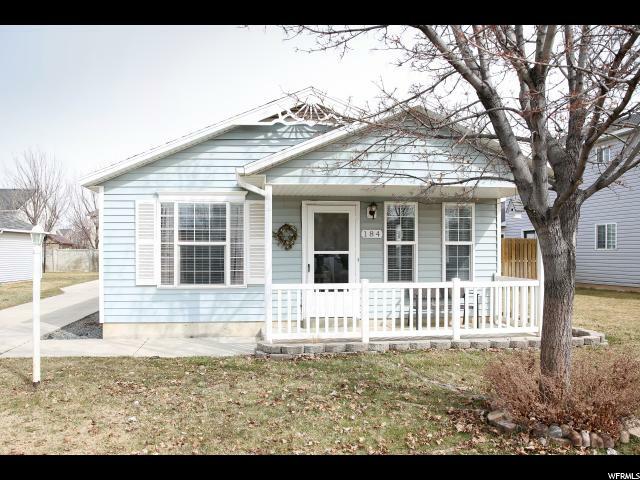 "Perfect starter home close to schools parks and classic Spanish Fork Main St. This well maintained home features clean carpets and floors, a 50 year roof with 30 years life left, 3 year old water heater, and 4 year old furnace and air conditioner, a 2 car garage and a private master bedroom with its own bathroom and a loft. The HOA is only $28.00 a month to help maintain the playgrounds and picnic areas. Square footage figures are provided as a courtesy estimate only and were obtained from county records . Buyer is advised to obtain an independent measurement. " "No showings until Open House. 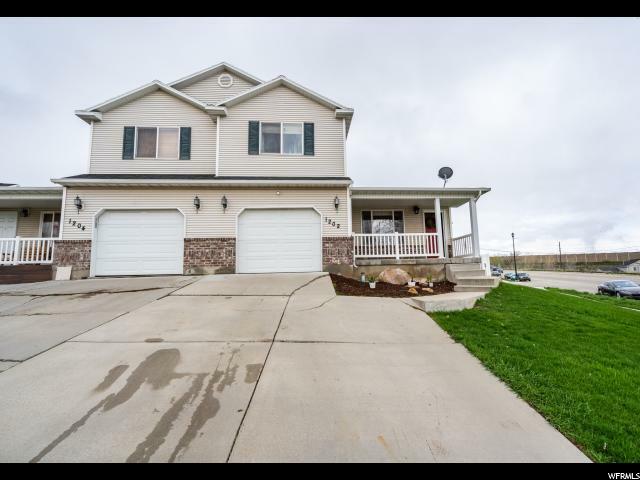 Come check out this beautiful twin home conveniently located in Spanish Fork near restaurants and shopping. Large, fully landscaped and fenced backyard for pets, family hangout and BBQ! Cool and soothing water feature in the backyard. New flooring upstairs. This home is wired for smart home capabilities! This is a great starter home for your family to grow. Also: The seller is willing to throw in the large screen TV's for the right offer! Don't wait this home on a quiet tree-lined street could be YOURS TODAY! " 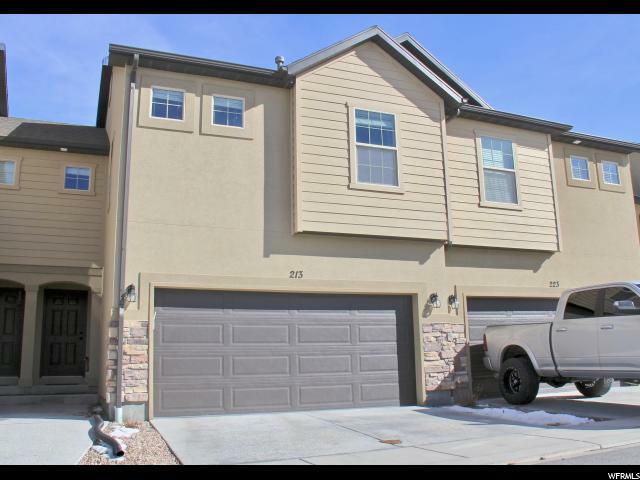 "Beautiful Maple Mountain Town Home, this is one of the newer units in the project. This home is the end unit right next to the clubhouse, common green area and the playground. You also have a very large side yard with guest parking very close by. Other end units have another building right next door. The Elementary school is across the street from the community. When you walk out the front door you are instantly blown away by the amount of green/open space. The Laundry Room is conveniently located on the 2nd floor by all of the bedrooms. Square footage figures are provided as a courtesy estimate only and were obtained from county records. Buyer is advised to obtain an independent measurement. PLEASE NO SHOWINGS UNTIL OPEN HOUSE ON SATURDAY MARCH 9th, 2019 FROM 11AM-1PM"